Arriving home from work it&apos;s mid-afternoon and everyone is ready to roll. I throw together some last minute items; change into cooler clothes and slap on some sunscreen on this unseasonably warm spring day. 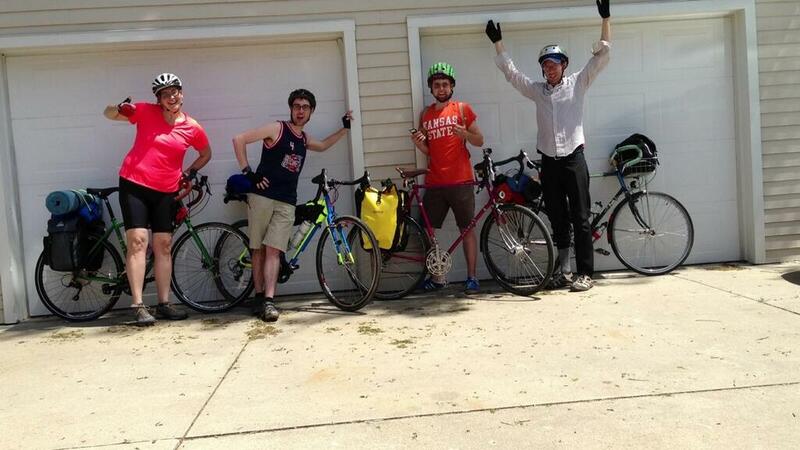 It’s tradition that we try and take a "before” and “after” pictures, so we line up the bikes, snap a couple and hit the road. Rolling across the Washburn University campus to approach the Shunga Trail we can already feel the wind wasn’t quite at our backs. Weather reports indicate that it’s going to be a blustery couple of days and there are chances for tornadoes later in the weekend. For this reason we’ve decided we’ll most likely ride out to Council Grove and hitch a ride back with a friend. 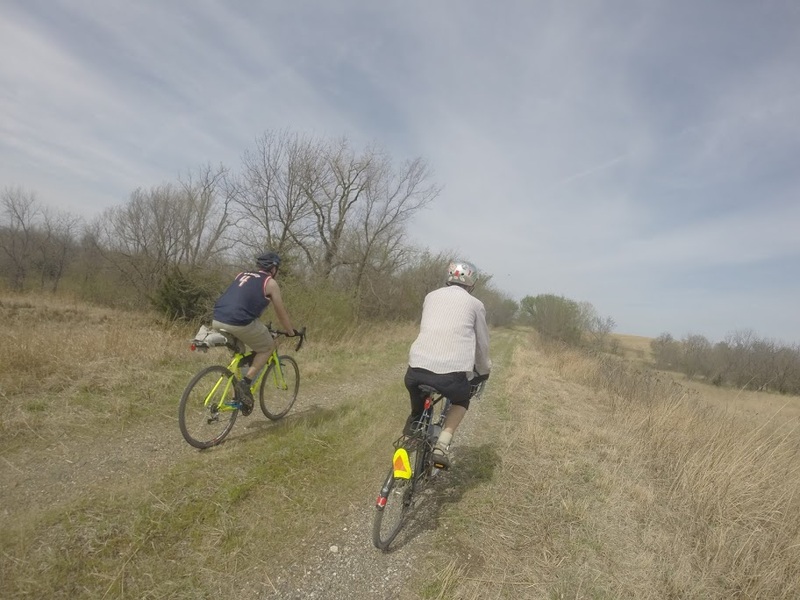 But we’ll ride the heck out of the trail before that and get a flavor of the Flint Hills along the way. We headed southeast out of Topeka, towards Auburn Road, which we’ll take towards Burlingame. 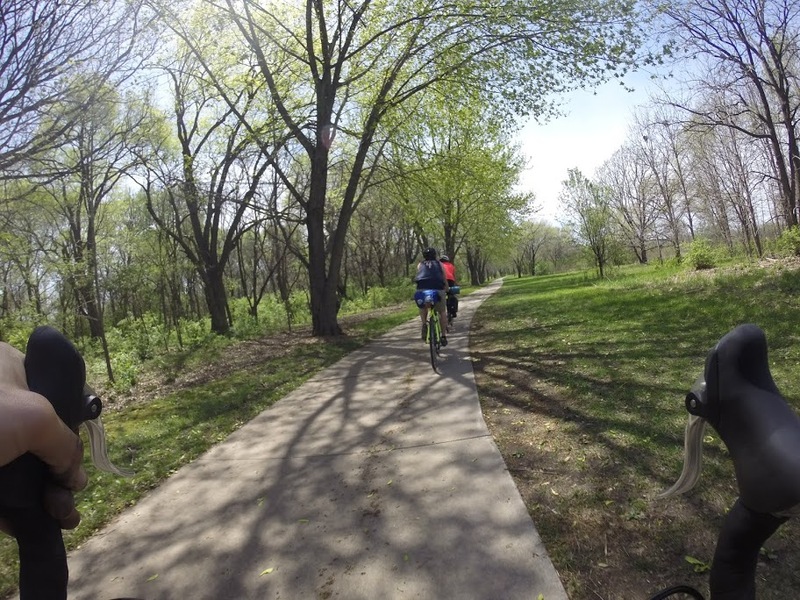 Eventually we will be able to take the Landon Trail all the way from Topeka down to Ottawa where it will connect with the Flint Hills Nature Trail (FHNT) and will allow folks the opportunity to hike or bike a significant amount of miles off roads and enjoy Kansas’ rural beauty. 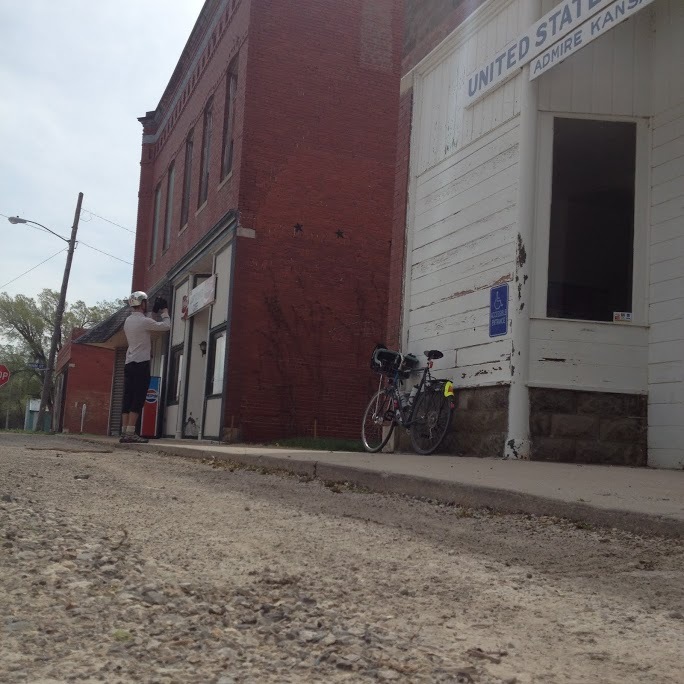 At this point, that is still in the works, and our time is pretty limited so we hustled via gravel back roads down Osage City. 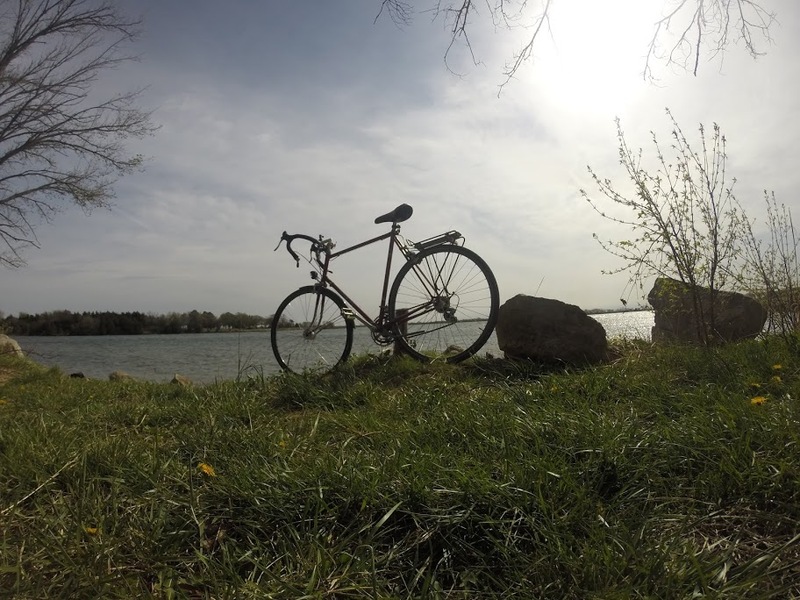 Bike touring involves a lot of connecting the dots. So we use a combination of smart phone maps and personal recollection to roll down to Burlingame where we refuel on water and some snacks at the local Casey’s. We aren’t quite ready for dinner yet, or we would check out the other local cuisine. There are plenty of scenic barn and farmyard views in this portion of the ride. As we pedal southward, the sunlight shining on the developing grass pastures is really pretty. Family connections direct us to one of the local eateries in Osage City for a feast among the famished! We checked out the Sportsman Club on Market Street. We enjoyed some quality cooking and they were accommodating to our requests for jugs of water as well as food allergies! It’s a nice change to be able to stack the bikes outside the window and relax and take in what Osage City has to offer on a Friday night. We have about 20 miles remaining, but the remainder will be on the trail. Note: we haven’t observed hours posted for riding the trail, but beginning riders or those without lights should probably avoid it for the obvious hazards of trees, rocks (the same reasons you might not ride a street if not properly equipped). Riding the FHNT at night is quite an adventure. We are lit up with about four or five headlights between the three of us continuing at this point. Besides the wildlife and night creatures we spot via our headlamps, we are able to watch a prairie burn in process in the distance. It doesn’t look like we’ll actually approach it too close, but it’s still a marvel to observe and a fun reminder we are in the heart of Kansas farming and ranching territory! along the trail. We’ve really enjoyed the relatively flat topography of the Flint Hills Nature Trail. This flatness of the trail is because it is a rail trail, or former railroad. Some brief orienteering with our cell phone Google maps helps us navigate the last five miles from the FHNT down to Lyon County State Fishing Lake where we’ll be camping tonight. We picked Lyon County State Fishing Lake because like many state fishing lakes in Kansas it offers free, primitive camping spots. 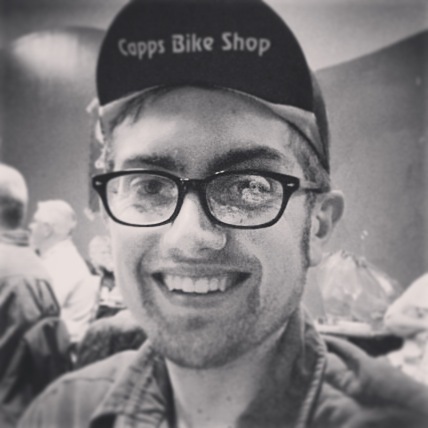 This allows us to roll in when we can (no check-in times) and allows us to keep bike camping and touring an affordable hobby. But even a $10 or $12 camping fee for a tent spot for four or five bicyclists probably wouldn’t be bad. Some friends and spouses who weren’t able to ride tonight are meeting us at the site with a campfire roaring tonight. Obviously no bike camping experience is complete without s’mores, so we’ll partake, set up a few tents and hit the sheets.